Cancer Research UK is turning its specialists loose on the internet to get them to tidy up the online encyclopedia - Wikipedia. The charity said many people researching the subject are turning to the website. But it said there were problems with accuracy and clarity on some of the pages. 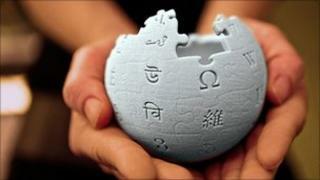 Wikipedia said it encourages experts to edit the site as they have a lot to contribute. Cancer Research UK's website has pages of detail about a range of cancers. However, using a search engine for the terms "Breast Cancer" puts the charity in eighth place on the results page. Wikipedia comes second. A trend it repeats across other cancers. Wikipedia said it had more than 3.5m page views for cancer-related content in January 2011. Henry Scowcroft, scientific communications manager for Cancer Research UK, said: "It has been our intention for a long time to be involved in the online discussion outside of our own website." "Wikipedia is nearly always at the top of an internet search for cancers. It's not always that easy to understand and sometimes it can be inaccurate or not completely up to date." "We want to increase the accuracy and clarity." So far they have created a new entry on the hallmarks of cancer as well as information about screening for human papillomavirus, which can cause cervical cancer. The charity has not decided how many staff should contribute to the site, or how much time they should spend doing it. Mike Peel, from Wikimedia has been training staff from Cancer Research. He said: "Expert editors are really vital and have a lot to contribute."